The Thames Landscape Strategy report was a pioneering document that set out to celebrate and understand the exceptional landscape character of the Arcadian Thames, creating a 100 year strategic vision for the river corridor that has stood the test of time. 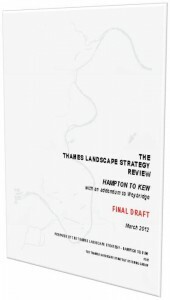 The Thames Landscape Strategy (written by Kim Wilkie and published in 1994,) is an analysis of the character of the river landscape providing a vision for the natural and man-made elements of the landscape – an evidence base which draws together the history, topography, culture, politics and wildlife of the river corridor to form the basis for and shape future policy, management, projects and design. 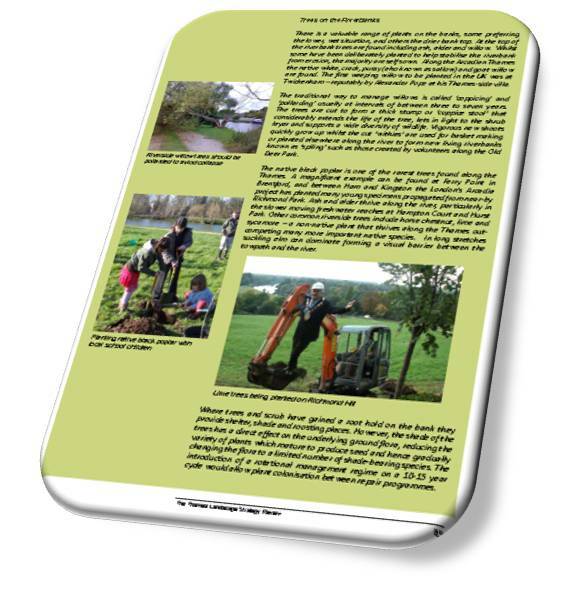 In March 2008 however, it was recommended that the strategic report should be updated to take into account new priorities such as climate change, new policy frameworks such as the Mayor’s London Plan and changes to the landscape on the ground. In 2010 a series of consultation events were put in motion and a two year period of consultation and evidence gathering was put in place. 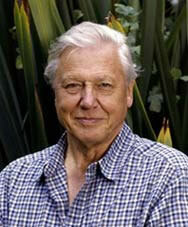 In 2012 a Review of the 1994 Kim Wilkie report was agreed by TLS partners that has now replaced the original document. The Review is an organic document and will (with the agreement of the TLS partners) be updated at regular intervals. The Strategy area has been extended upstream to Weybridge – embracing four new and distinct character reaches. Please note that the consultation for these new reaches will be carried out at a later date and attached to the main report as an addendum. 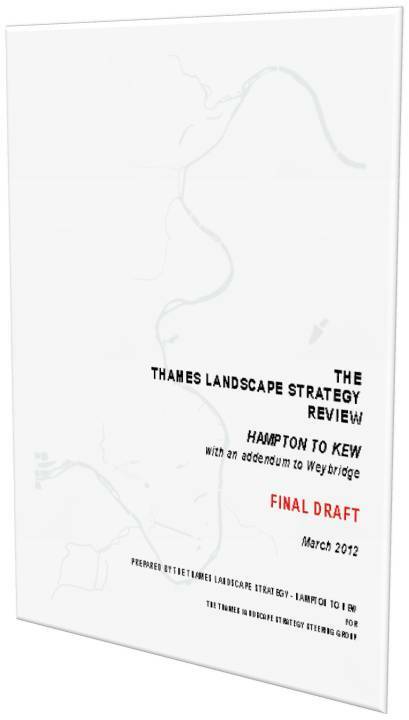 The Thames Landscape Strategy Review is available for anyone to download and use. Please note that it is subject to copyright and many of the images can only be used for the purposes that they were intended for. If in doubt please contact the Thames Landscape Strategy at Holly Lodge. If you would like to discuss any aspects of the Review or to have more information please contact Jason Debney at Holly Lodge or telephone 020 8940 0654.